Technically a band since the late 90’s, Thee Oh Sees have undergone numerous changes. Though these changes were mainly in lineup and band name, it seems the current era of Thee Oh Sees will be its most distinguished yet. With Dwyer expressing his desire to change the band’s sound (and live lineup, which are obviously sans Brigid Dawson and Mike Shoun), Mutilator Defeated at Last is more than representative of the transitional period Thee Oh Sees are currently going through as a band. It’s not necessarily a bad thing that the now trio is experimenting with “less keyboards” and “more guitar” per Dwyer’s wishes, but the band has managed to somehow lose a lot of that raw, almost DGAF type of appeal and edge to their style. 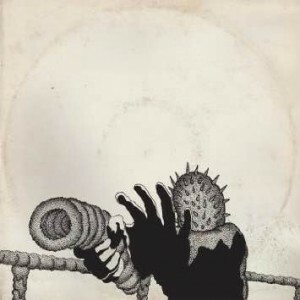 Mutilator Defeated is a more structured, tightly produced take on what Thee Oh Sees were so good at. The album still touches on the band’s homage to 60’s psych and classic garage rock, but also aspects of blues (like in “Turned Out Light”), folk (as used in “Holy Smoke”) and goth (like the organ playing in “Sticky Hulks”). At the end of the day, Thee Oh Sees will always be that one band that was most influential for making that one kind of sound really cool. That’s all that matters.